These cute heart shaped soaps make a great valentine for a teacher, neighbor, or grandparent that might not want, need, or be able to have all of the sugar that usually comes attached to a valentine. Soap is about as sugar free as you can get. 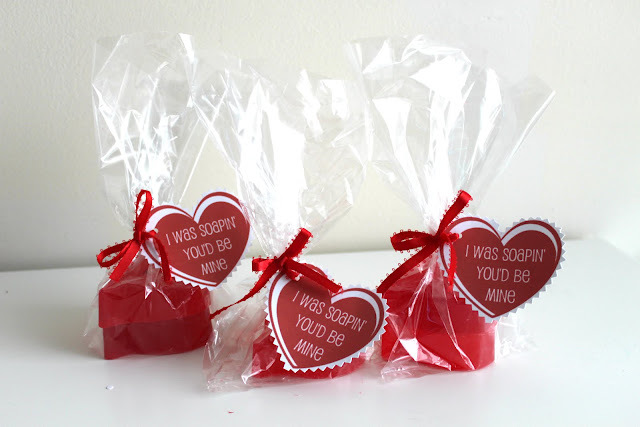 And with these cute 'I was soapin' you would be mine.' tags they are too cute not to love. You can see Jen's heart soap valentines over at My Own Road. Thanks for featuring my soaps Lorie! Have a great day!